- This listing is for 1 push-pop. 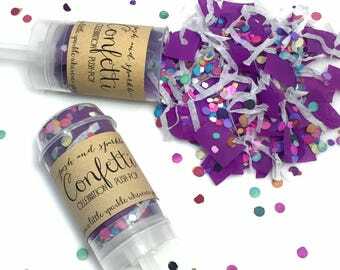 - The Bright Birthday Confetti Push-Pops are a bright cheerful way to celebrate any special birthday! 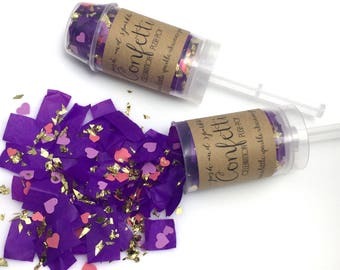 These confetti push-pops will be a special addition to party and add a unique and fun activity for all to enjoy! - This confetti mix is made up of bright shades of green, blue & white paper in crinkle cut style. - The pops also have white labels with blue and green text and a blue border. - This push-pop has a special birthday label with a balloon illustration and reads: "Happy Birthday!" "Confetti Push-Pop"
* Our plastic push-pop containers are RE-USEABLE! 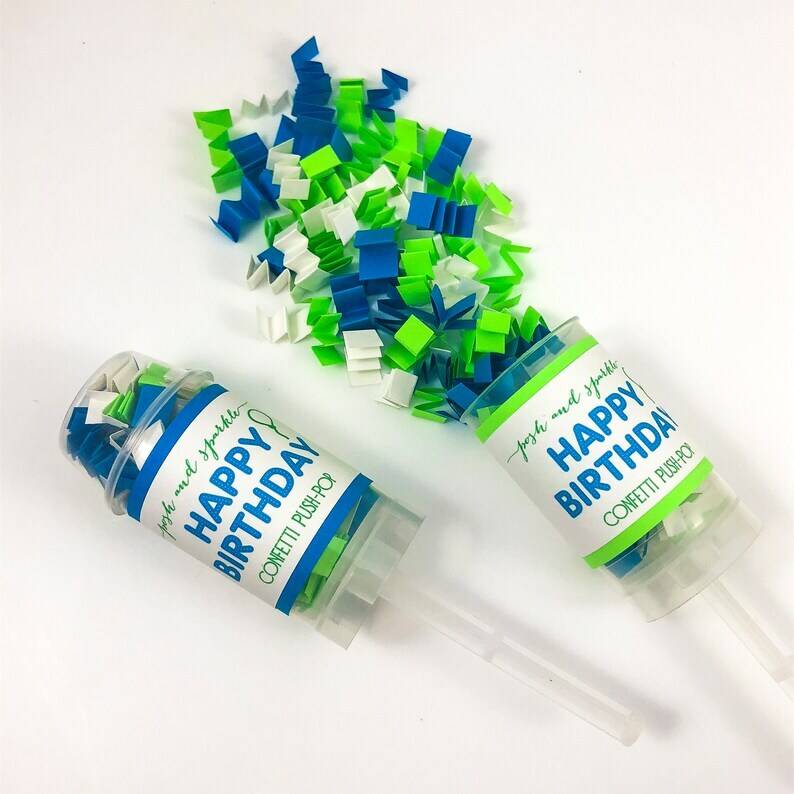 Fill them up again for your next event with our convenient re-fill confetti bags! They are also food safe, so you can even re-use them for fun party foods such as desert parfaits! - Orders of 1-20 push pops is 1-3 business days. - Orders of 30-50 push-pops is 3-5 business days. - If you need a rush order, we are happy to do our very best to accommodate your timeline. - Please contact us PRIOR to purchasing if you need a rush order, so we may confirm availability and any additional charges. 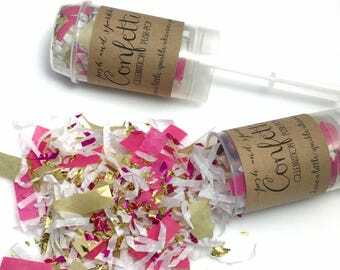 - For custom theme/color confetti requests, please CONTACT US BEFORE ORDERING and will be happy to make the perfect push-pop for your event. Very pretty. Amazing customer service.